Sarah Louise Eastwood, 38, of Saracen Close, Gainsborough. Kept an unlicensed vehicle on a public road. Fined £440, £72.50 excise back duty and £90 costs. Kevin Hewitt, of Trinity Street, Gainsborough. Kept an unlicensed vehicle on a public road. Fined £220, £38.34 excise back duty and £90 costs. Lee James Michael Hudson, 40, of Orchard Place, Kexby. Kept an unlicensed vehicle on a public road. Fined £440, £90 vehicle excise back duty and £90 costs. Tony Mitchell, of Summergangs Lane, Gainsborough. Vehicle did not meet the insurance requirements. Fined £220, £22 victim surcharge and £110 costs. Pauline Simons, of Parish Mews, Gainsborough. Vehicle did not meet the insurance requirements. Fined £220, £22 victim surcharge and £110 costs. Oliver James Pedge, 26, of Ashcroft Road, Gainsborough. Driving without insurance. Fined £120, £20 victim surcharge, £85 costs and licence endorsed with six points. 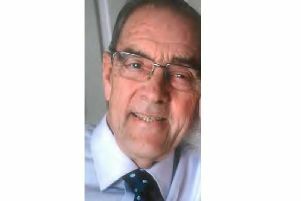 Robert John Wood, 65, of Stanley Street, Gainsborough. Driving while not wearing an adult seat belt.Fined £220, £22 victim surcharge and £85 costs. Ian Andrew Robinson, 46, of Ridge View, Lincoln. Stole perfume. Community order made, six months curfew with electronic monitoring, £60 victim surcharge and £300 costs. Mandy Millar, 48, of Westwick Drive, Lincoln. Stole money. Community order made, 100 hours unpaid work, £10 compensation and £60 victim surcharge. Harrison James Everett, 26, of Cecil Street, Lincoln. Driving under the influence of alcohol. Fined £415, £42 victim surcharge, £85 costs and disqualified for 24 months.